A cinema verite documentary about the homeless soccer team from New York City who travel and compete at the 1st Annual Homeless Soccer World Cup in Graz, Austria in July 2003. A series of grisly events that took place in Black River Falls, Wisconsin, between 1890 and 1900 are dramatized. Tells the story of a chimpanzee taken from its mother at birth and raised like a human child by a family in a brownstone on the upper West Side in the 1970s. Well made observations on forming a team. This documentary follows a group of homeless people from New York who try to form a football team to play in the Homeless World Cup held in Austria. Having said that, it doesn't really say much about what it is about at all. The film takes us into this world of homeless people and the filmmakers give us the sense they really captured everything going on there, even more than that, they give an insight into this world of the homeless, people who are just plain people like you and me in a sense. The great achievements of this film are the observations and the very recognizable human behavior we all possess when we are being thrown together with a bunch of people who want to achieve some great victory. It's these conflicts and discussions while the team s being formed that show us how we are all guided by our social background, motivation, selfless or not, frustration and betrayal, disappointment or just life in general. But the film is uplifting because you feel part of it, you feel sympathy for the effort the team is making however hard it may seem. Forget the football or the fact it consists of homeless players, it's a film about human beings who are given an opportunity to rise above themselves (and most of them experience it as a victory), who get awarded for once in their life for showing they are much more than an chance-less individual. You could say, from where these players come from, they can only win, they have nothing to lose (except their mind). 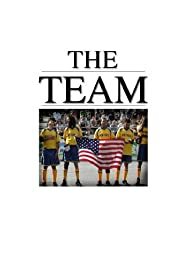 In all, this film is truly a well made observation of a group of individuals becoming a team despite or because of their social backgrounds and poor situations. The team struggles at times but eventually it proves to be flexible enough to stand against their natural tendency to break down in disorder. The documentary did made me think. We all have to work together somehow, but when you are being confronted with yourself and asked to change or set aside yourself for the good of the team, some of us would struggle to make the team. And if you do make the team, winning isn't everything.